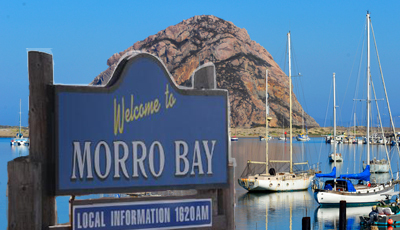 We already know that tinting a car’s windows will keep it cooler inside and add more privacy and security, but did you think how great these advantages are when it comes to your Morro Bay business? 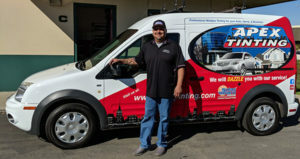 It doesn’t matter if it’s a large or small business, window tinting will make a big difference in comfort and costs. Retail store fronts, offices and buildings will all benefit from business window tinting by Apex. Commercial window tinting is an Apex specialty. We have years of experience helping countless business owners, and office managers who have chosen Apex for their business window tinting solutions. Give us a call today and we will find the right solution for you as well! Today’s buildings have a lot of windows, they look nicer and they let in natural light. While they look great they also come with problems as well. Windows attract and absorb the heat from the sun. This can make it uncomfortable and raise your utility bills. You can reduce that unwanted heat by about 70% with Apex window film! You and your customers, clients and employees will be more comfortable and your A/C won’t have to work as hard. Another problem with lots of windows is glare. Sometimes sunlight streaming in can really make computer screens difficult to see. This causes eye strain and makes errors more likely. Some businesses will choose blinds to keep out glare and heat. This will help a little, creating some shade, but blinds still allow the heat to enter the building, where as window film stops the heat before it gets in, and it does that without blocking the view! Window glass can easily be broken into, making windows a vulnerable access point for thieves. Windows with security film are less attractive to would be intruders, because they can’t see what might be waiting for them on the inside, and they know that they are harder to shatter and take longer to get through. This is good news for business owners because every second counts when waiting for the arrival of help! Apex has a good variety of window tinting films for your windows. Our films range from 4 mil to 18 mil in thickness. And we provide anchoring systems, strengthening and binding our security films. Graffiti Guard window films are also available through Apex. Graffiti Guard window tinting film is applied to the window’s exterior. When the glass is ruined by graffiti tagging or defaced, the film can be replaced. This is easier and saves money over window replacement or resurfacing the glass. Our storefronts tend to have large glass windows, for good display visibility. Unfortunately, those wonderful windows also let in UV rays, which damage merchandise and building interiors. During certain times of day the sunlight can cause so much glare that shoppers are irritated and employees can’t see their register screens properly. Apex window tinting will reduce glare, keep out harmful UV rays and reduce the interior temperature! Keeping a comfortable environment is very important to store owners and offices, that’s why Apex window tinting is so popular on the Central Coast. Schools and other government buildings, law offices, medical and dental offices all have extra need of window tinting film. The solar film that Apex installs will increase comfort and decrease energy spending. And for those locations where security and privacy are extra important, Apex window tinting is the perfect solution. Lawyers and government buildings have sensitive papers, and client confidentiality concerns. Medical and dental locations must provide privacy and security for their patients. Schools must consider the comfort and safety of the students and faculty, while also providing adequate views outside. Apex window films come in a wide variety, with choices like one-way, frost, opaque, and decorative. An Apex professional will learn about your specific needs and provide the best solution for each of your windows. These are good reasons to have window tinting in your home too! Apex also specializes in residential window tinting!